On Saturday Nov 17th four clubs will get together at CIT track to hold a fun athletics meet for U9-U14 athletes. 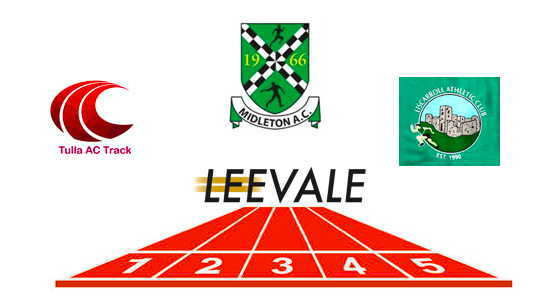 The four clubs, Leevale AC, Liscarroll AC, Midleton AC & Tulla AC will participate in this year’s meet. Weather permitting, the event will start at 10am. The 4-club meet meet is designed to be fun in a non-competitive environment, where athletes are encouraged to compete in all events to earn points for their respective clubs.